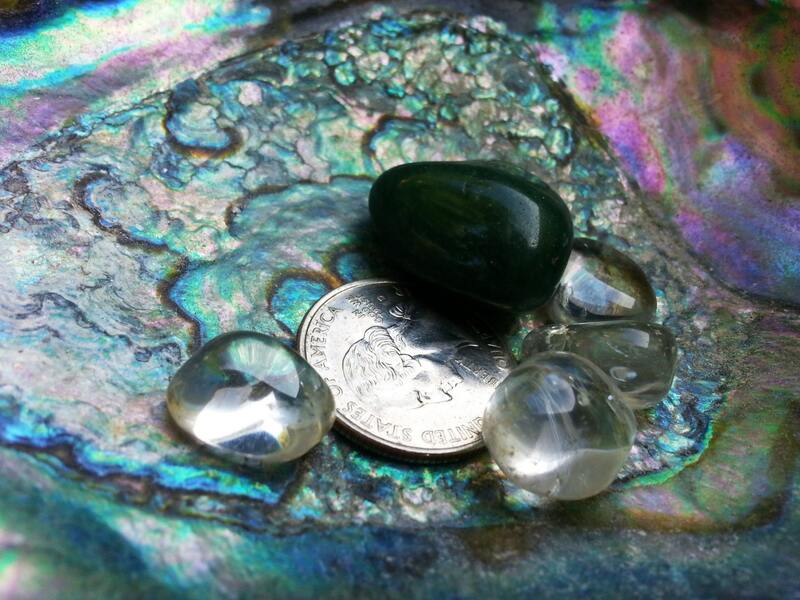 Green Aventurine amplified by quartz create a wonderful heart clearing energy. 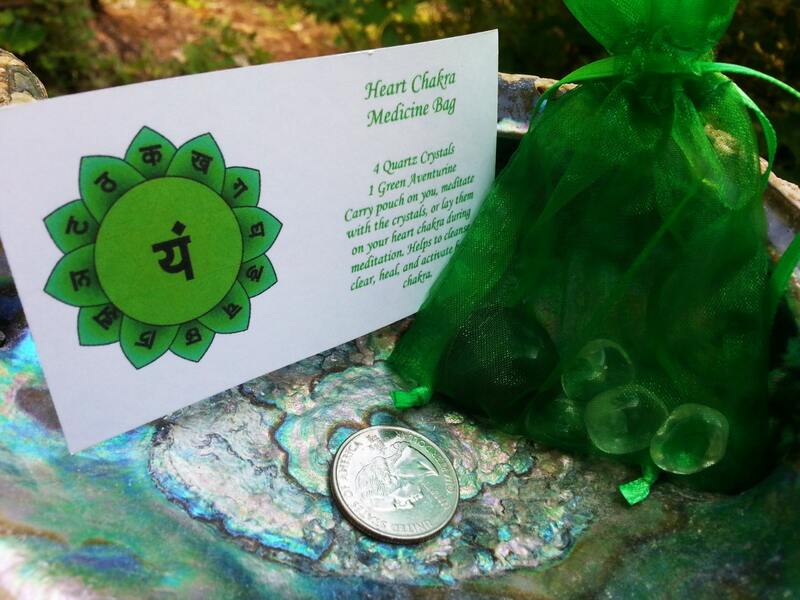 Each chakra bag is filled with stones I intuitively choose for you, or the one you are gifting it to. The crystals are then cleansed and charged. 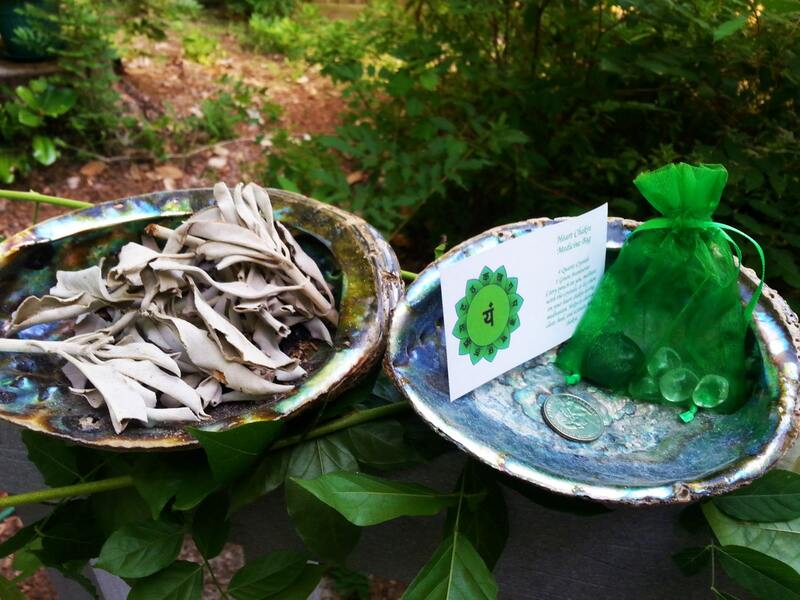 Each chakra bag comes with an information card with suggestions for use and a list of the contents. I also add in a card for each type of crystal with it's metaphysical properties. May you find this chakra set to be of assistance on your path. Love it, nice stones, the preparation of the medicine bag is perfect. I am so pleased with this little bag of goodies. It is very helpful having everything you need ready and waiting for you. I am very happy with my purchase. Everything I bought came beautifully packaged with great energy!! !